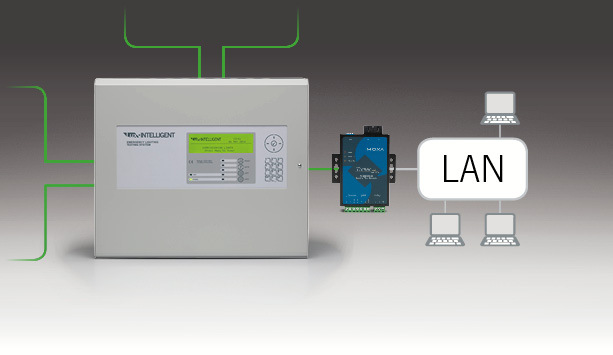 Lux Intelligent can be installed on your existing wiring, and panels can be networked to cover large sites at low cost. Networking can be unlimited, using your site's LAN or wireless networks or using two-core cable. 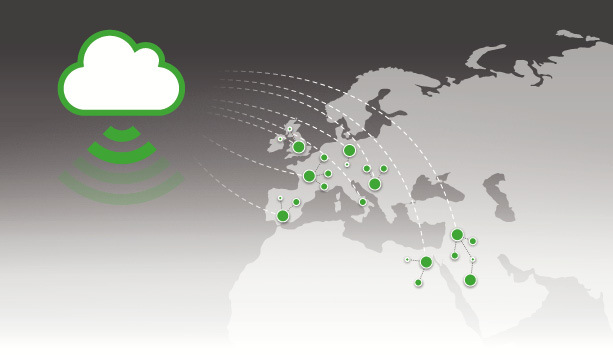 The ability to scale the network means that you can use our cloud monitoring and mobile monitoring to manage a system that covers one site, or three countries quickly and easily. Using two-core cable, you're limited to 200-panel networks. Using our LAN networking, you can use as many panels as you want - All they need is an internet connection. We think the time has come for emergency light testing to become a real service, not a box on the wall. With Lux Intelligent you can put your panels in the cupboard and forget them. The system was Advanced’s first life safety product and thought its various developments is the foundation for what has become an international leader, operating in over 60 countries worldwide, developing control and analysis systems for life safety and fire. 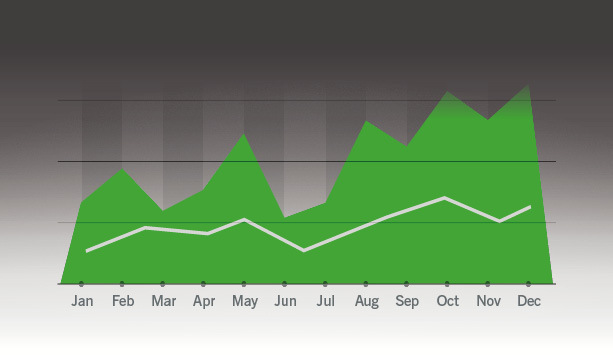 When you add our cloud data storage and mobile and tablet system monitoring, you never need to look at the panel again (apart from a three-year battery check). 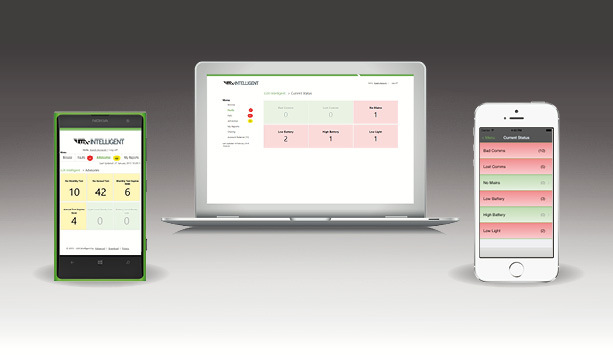 Lux Intelligent Cloud monitoring gives you real-time system test data and reporting in your pocket, tablet or on your computer. Lux Intelligent is the only system that will work with almost any light from almost any manufacturer; it offers more choice, flexibility and security. You can use any luminaires from our range of emergency lights, or a light sourced from a third party. If you wish to keep your existing luminaires and wiring, you can quickly convert them to Lux Intelligent's addressable protocol by adding our addressable modules. Advanced is ICEL 1004 approved to carry out conversions. You could end up in a situation where most of your emergency lighting works on a system but other lights won’t because they are not part of that system, or even worse are on a second system, a management and maintenance nightmare. Lux Intelligent makes sure this doesn’t happen and keeps saving you time and money. 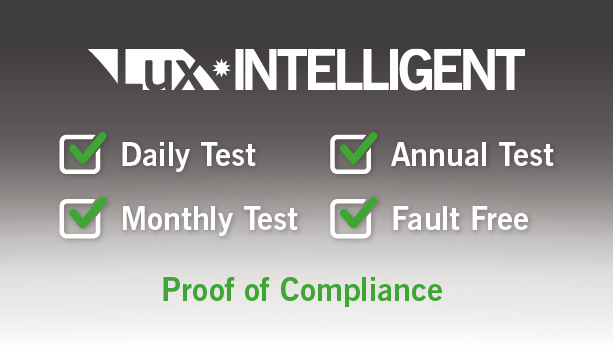 We think your emergency light test systems should not be limited, and so we’ve made sure you can easily cover your whole site and your existing system with Lux Intelligent. Lux Intelligent has been designed and is proven to work with almost any light or luminaire, including LEDs. What’s more, it can use all of your existing lights. Your Lux Intelligent system can expand from one panel which will cover 996 lights to an unlimited ‘cable-free’ network using our LAN networking. It will work with central battery systems too. Add to this the fact your system can easily scale to cover any site anywhere, and work with just about any light or LED fitting, and you've got a system that’s unbeatable and future proofed, saving on expensive one-off investment in the future. Lux Intelligent modules ensure your lights are functioning correctly using fibre optics for direct light measurement and high-performance electronics to monitor appropriate voltage levels. 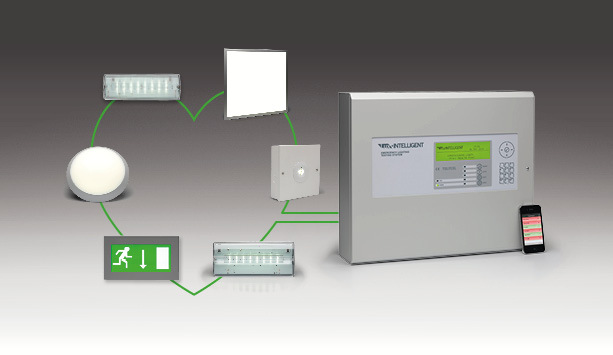 Each Lux Intelligent panel has up to 4 easily-wired lighting loops supporting up to 249 luminaires. That’s an unbeatable 996 per panel and 199,200 per network.